Johnny Nicholas has indeed been around the block when it comes to the blues and performing. He worked and played alongside many of the legends of the genre — Big Walter Horton, Robert Lockwood Jr, Johnny Shines, Mississippi Fred McDowell, and Hound Dog Taylor and many others. He formed his first band with a new guitarist named Duke Robillard in the 1960s, led another in the 1970s that featured a young Ronnie Earl, and of course he may best be remembered for his stint playing western swing with the Texas-based group Asleep At The Wheel with whom he won a Grammy Award. 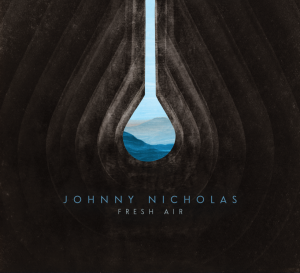 Fresh Air is Johnny Nicholas’ latest release. His albums don’t come nearly as often as they should, with this being the follow-up to his well-received 2011 disc Future Blues. Recorded in Austin, TX and produced by Bruce Hughes, who also plays bass, Fresh Air finds Nicholas joined by a group of well-known performers that includes Scrappy Jud Newcomb, Steve Riley, John Chipman, and Cindy Cashdollar. Every number of this stellar recording offers an authentic take on the blues in Nicholas own unique way. He is a multi-instrumentalist that finds him playing a variety of guitars, piano and harmonica. The album contains thirteen tracks and all but two are originals that Nicholas had a hand in penning. Two covers by Sleepy John Estes (“Kid Man Blues”) and Willie Dixon (“Back Door Man”) fit in nicely and have been given the right treatment to make them sound as if they too were Nicholas originals. Let’s just say that Nicholas, whether writing his own material or covering others, has a knack that reads like his own personal storybook. Nicholas displays his creative wordplay with his lyrics. In “Sweet Katrina” he tells us about the woman who is meaner than a one-eyed dog, but has everything that a woman could use like a big screen TV and a closet full of shoes. In “Red Light” the song jumps while expressing how he wants to make a little time with the woman of his choice. He needs some roadside assistance because all he’s getting from her is a red light. The song is pushed forward with some fine lap steel work from Cindy Cashdollar. “How Do You Follow A Broken Heart?” is a tear-jerker. It’s slow paced guitar, again finding Cashdollar adding extra soft textures, that kind of reminds me of the ease of Charles Brown’s music. And then there’s “Play Me (Like You Play Your Guitar).” It’s got a swampy feel behind it and we know when Nicholas offers lines like “run your fingers down my neck,” “I love the way you squeeze that note,” or “play it like you never played it before,” this risqué number is a bit more than about a guitar. The closing track is well named as it is a piece of “Fresh Air” that is soothing and comes across expertly with tasteful mandolin and slide guitar. It’d be hard to find a track on Fresh Air that isn’t appealing. Definitely an album that deserves attention and masterfully compiled with top notch musicians, instrumentation and soulful vocals. 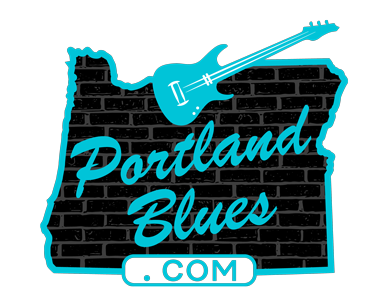 Johnny Nicholas has been around for more than fifty years and proves that he has earned his blues credentials throughout that time. Singer, songwriter, musician and performer, he is all of that and he’s delivered an album that highlights his talents to perfection. Doug Rowell's Flying Guitar Circus, guest Lloyd Jones...Bday bash! Sportin' Lifers Trio at the Rudder!